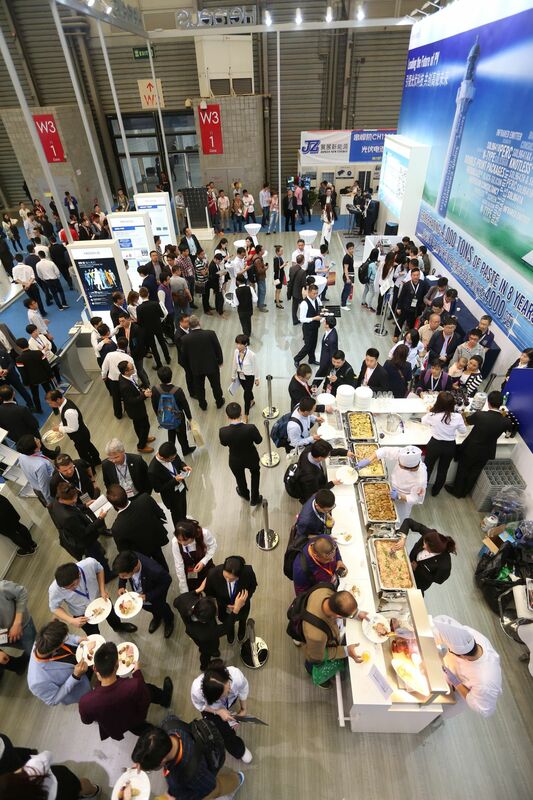 The PV industry is in turbulence, featuring continuing enhancement of mainstream specifications, tug-of-war between mono-si and multi-si technologies, gradual transformation of the global energy structure, growing acceptance of PV power, and continuous revision of government policies. Amid the transitional period, PV players are groping for path of development, like ships searching for direction of sail amid unchartered sea. To portray a clearer outlook, EnergyTrend interviewed Dr. Weiming Zhang, Chief Technology Officer of Heraeus Photovoltaics Global Business Unit, on the status and future development of the PV industry on a sunny April afternoon in Shanghai. Zhang, who heads the company's global PV R&D, noted that PV will stimulate the need for energy storage systems. Meanwhile, said Zhang, Chinese government's effort in pushing distributed PV generation systems will bump into the constraints of housing structures and property rights. With China unlikely to resume the heydays of 2016, there is promising potential in the U.S. and Southeast Asian markets. While the PV industry is undergoing major changes on all fronts, quest for high efficiency, quality and reasonable cost remains unchanged, an aspiration for which there need R&D, investment fund, and the lead of bellwethers. During SNEC 2017 fair, Heraeus launched its largest product program ever, underscoring its extensive technological deployment, as well as its theme for participation in the event: "leading the future of PV." A highlight of Heraeus' display was SOL9641B, the company's third-generation paste solution for PERC cells, which employs proprietary glass material, featuring higher VoC and greater processing window. Dr. Zhang held a rosy outlook for the material, saying that "PERC technology, now only in 1.0 stage, will see conversion rate reach 23% or even higher than 24% in 1.5-2 stage." Dr. Zhang believed that there still has ample development room for PERC, via methods including upgrading of wafer quality, improvement of metallization process, and development of passivate-contact technology, which need less investments than switch to brand-new technologies. In other words, cost-performance ratio for PERC upgrading is very high. However, Heraeus still has made ample preparation for various technologies, such as black silicon, which is already a mature technology in the eyes of Dr. Zhang. Zhang explained that black-silicon cell features submicron suede surface, for which Heraeus has rolled out SOL9641A series conductive paste, featuring glass ingredient, formula, and process with special design, capable of special adherence needed by black-silicon cell, which can avoid broken piece and contacts (finger lines) and create a wider processing window, on top of maximizing cell efficiency. PERC and black silicon mirrors the status of competition among multiple technologies, in response to which Heraeus has rolled out paste solutions for knotless-screen printing and double printing, respectively. SOL9641Ax/Bx paste for knotless-screen printing is capable of large-scale ultra-fine line printing, contributing to higher conversion rate and lower cost. Meanwhile, thanks to its good adherence, SOL9642A/B double print paste packages also meet the need for printing with ultra-fine lines, on top of better cell appearance and higher performance. Given similarity in the function of the two solutions, I wondered about possibility for internal competition deriving from such a product strategy. Dr. Zhang admitted the existence of competition between the products, explaining that "Technological competition is a norm for the PV industry, as various technologies are vying with each other for attaining commercialization ahead of others. Backed by a strong R&D team and ample fund, Heraeus supports various technologies – existing as well as emerging - , contributing to the development of the industry on all fronts." Such "comprehensive preparation" for next-generation technologies is indispensable. With rosy outlook for N-type technology, Heraeus believes that it is the ultimate form of PV cell. The latest paste solution SOL9360 for N-type cell can further augment the quality of fine-line printing and VoC, boosting conversion efficiency by 0.1 percentage point. With more and more companies engaging in the development of N-type technology, competition between the two major technologies IBC and HJT will heat up. SNEC 2017 marks a milestone for Heraeus, as it rolled out, for the first time, non-paste product HeraGlaze© and infrared emitters (IR emitters) during the fair. 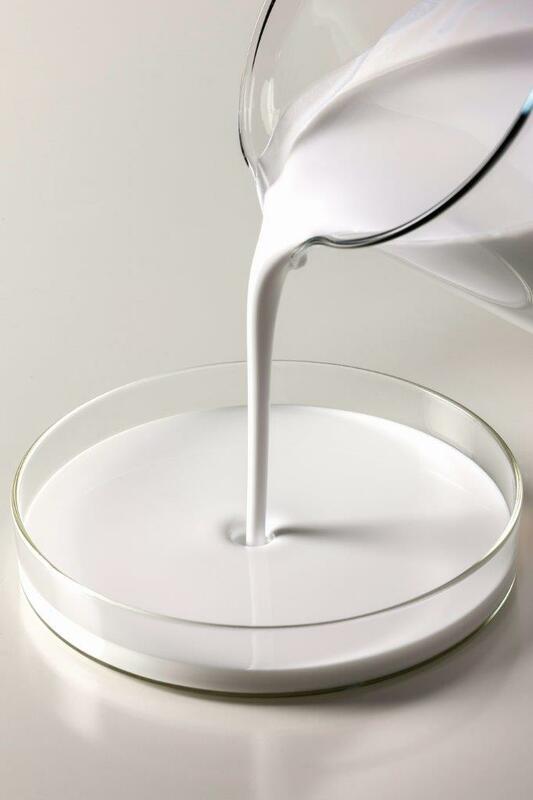 As an barrier material of multi-si crucible, HeraGlaze© is applied between the internal layer of crucible and silicon-nitride powder, for reducing impurities in multi-si ingots and thereby raising the output of wafers by 4%, as well as cells’ conversion efficiency. Dr. Zhang reported that in cooperation with a business partner, Heraeus has spared no effort in improving the manufacturing technology of HeraGlaze©. IR emitter, entirely made of quartz glass, are applied for the procedures of diffusion, sintering, and drying during manufacturing process of PV cells. Featuring small size, high efficiency, and long life, it is also applicable in LED and other related fields. HeraGlaze© and IR emitters have expanded Heraeus' PV supply scope. Moreover, the company has launched a diffusion consultancy service by integrating the knowledge and technologies accumulated in the PV industry and academia, with the aim of helping customers manifest their products' performance effectively. Diffusion consultancy service embodies unique management and development concept developed by Heraeus over the past 170 years since its inception. Zhang noted that the service results from the company's effort integrating its expertise, experience, and resources for extending its operation from products supply to the realm of concept sharing, underscoring the company's characteristics in business management and industrial leadership. It differentiates the company's operation from that of rivals and can help customers cut cost and raise efficiency, bringing virtuous competition and drives the PV industry's growth. 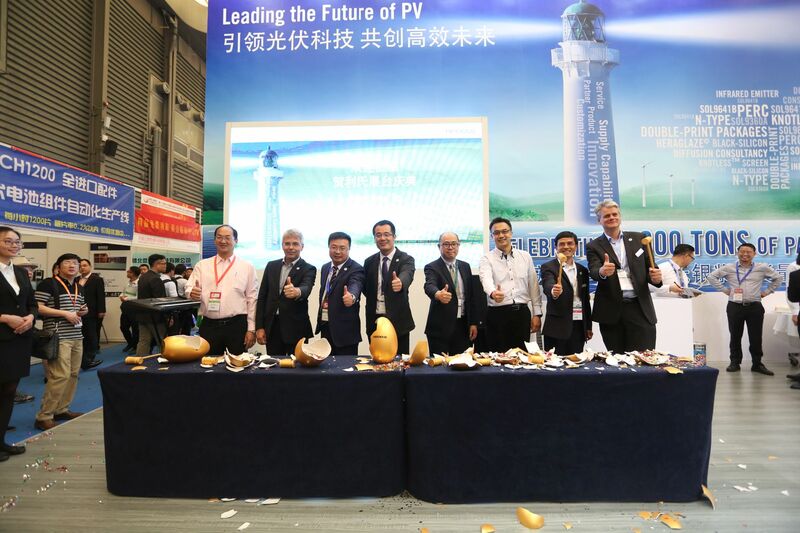 "Cost reduction and efficiency improvement is a persistent effort of the PV industry, which, though, is time consuming and needs lots of investments," remarks Zhang, adding, "Heraeus is dedicated to R&D and as a century-old enterprise, is committed to the industry's development and the quest for growth alongside customers." Heraeus has signed an agreement for strategic alliance with JinkoSolar and Jolywood, respectively, for the development of specific technologies. Dr. Zhang revealed that Heraeus has joined with some key strategic partners in developing custom diffusion consultancy service, an effort which will bear fruit within this year. Given acute competition and constant changes of the PV industry, players this field are like vessels groping for direction in an unchartered sea. Helmsmen play a key role in the adventure, avoiding vessels to get lost amid raging wave. Heraeus' vision is for it to play a helmsman for the PV industry, assuring it a smooth sail.